I love baking being in the kitchen. only to have to spend hours cleaning it up. Some days I just want something simple. I always like to have something out when people come over, even on surprise visits. To whip something up on a whim is a skill I've started to master. and the pile of dishes in the sink make you want to run for the hills, what do you do? Why - you turn to a box mix, of course. What?! Yes I did just say box mix. Why?! Quick, easy and you don't need a cupboard full of ingredients. But it won't taste home made?! Or will it? and the Heavenly Chocolate Fudge Brownie was one of them. All I needed was two eggs and some butter. I opened the box to find two sachets. The first was the brownie mix made up of fair trade Dutch cocoa and the second, a sachet of specially sourced lactose-free chocolate. 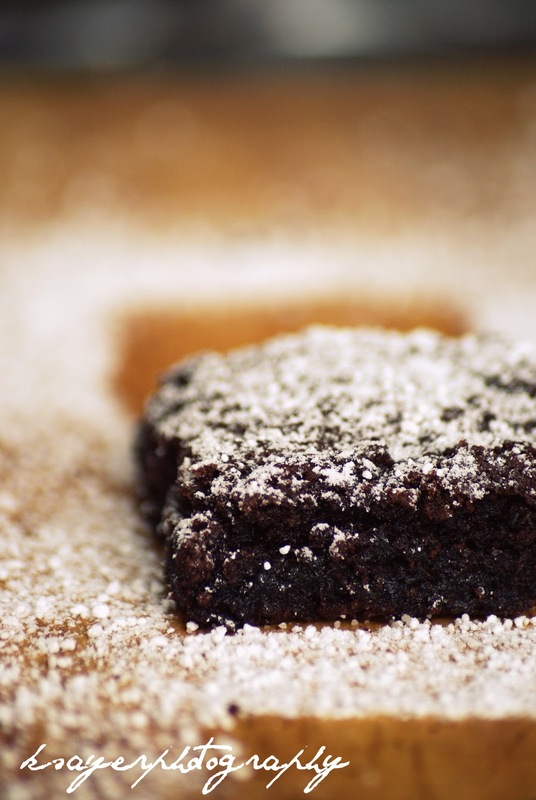 These brownies are perfect if you're baking for someone with allergies. 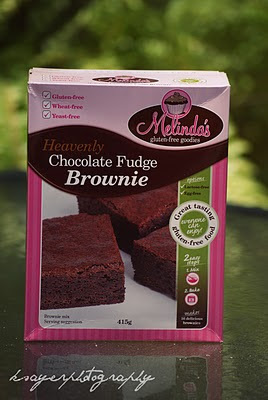 You get a gluten free, wheat free, lactose free (as long as you use a lactose free margarine or butter substitute) and yeast free brownie and you don't need to spend hours perusing the shelves of health food stores trying to find unusual allergy friendly ingredients. 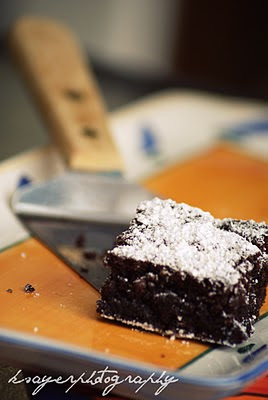 I had fudgy brownies with a chewy edge. But did they taste good?! Why yes, they did. You know what - don't tell your friends they're from a packet and they will never know. In fact, you might need to come up with an excuse as to why you can't give them the recipe. Maybe your old Aunt will do the trick! and dispel the myth that packet mixes are rubbish. 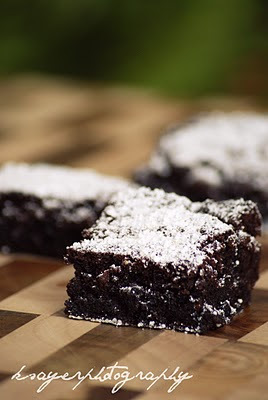 But you'll have to get in quick, because these brownies disappear fast. It's okay though - because it's so easy to get your hands on another box and whip up a fresh batch. Just head to your local supermarket or look at Melinda's list of stockists. 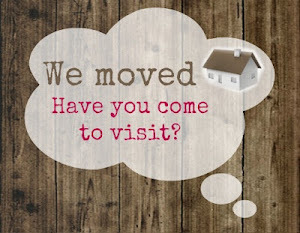 and do you have a specialty that you serve to guests? or always take to parties or friends houses? I think my specialty would have to be desserts. Cakes, brownies, cupcakes, cookies, slices - you name it! 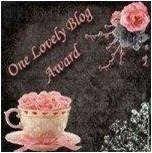 And the ones that are a miss NEVER get posted - I don't want to recommend things I don't like to other people! You really couldn't tell they came from a box! 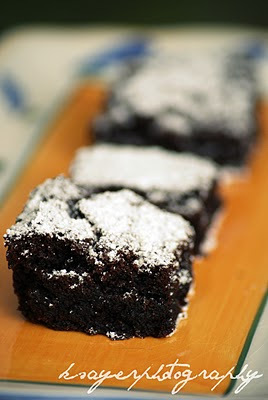 I like chewy brownies with soft fudgy centres, yum! Yes, I was one of those people who said... what a box mix!? 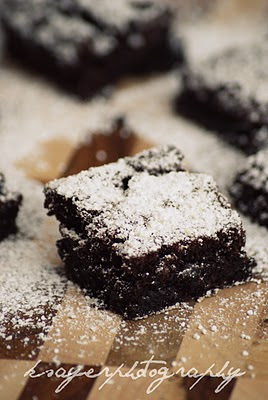 I have to admit though, these Brownies look pretty darn delicious!